The most important thing is to act quickly. As soon as you realise your garage door has been defaced try and remove the offending graffiti as soon as possible. 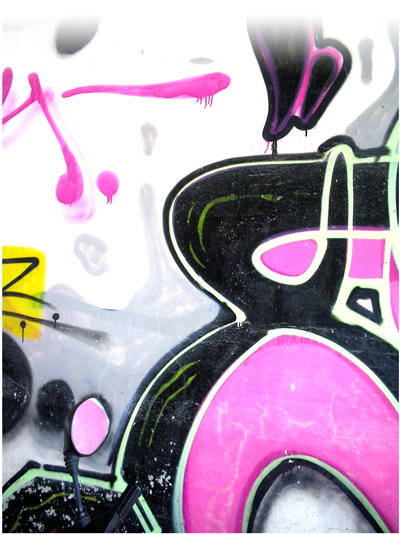 There are a variety of products on the market designed specifically for graffiti removal. Depending what the graffiti has been written in and what the garage door is constructed from will dictate what product will work most effectively. To make sure you use the correct product speak to a specialist supplier (there are a number advertised on the internet) or speak to someone knowledgeable in your local hardware store. Rather than attempting to remove the graffiti an alternative option is to paint over it. If your garage door is white this may be the best option because it is often difficult to completely remove graffiti from white surfaces. It is possible to pressure wash graffiti off. Before doing so add a cleaning product to the graffiti and leave it to work for a few minutes. Then carefully wash down the door with the pressure washer. If the graffiti is painted on the garage door it is possible to use paint thinner but you need to be very careful not to damage the original paint underneath. Apply with a cloth and thoroughly clean the affected area afterwards. If graffiti is a recurring problem then it is possible to protect your garage door with an anti-vandal product. There are many different brands available which you can paint on your door to prevent it being defaced. Next: Next post: Storage Hunters – Could your garage door reveal untold treasures?